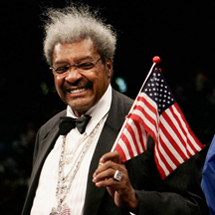 His spike hair is symbolic of how legendary boxing promoter Don King rose from the abyss of the Cleveland ghetto to the height of international fame and acclaim as an American success story. How poetic during the week America will be celebrating the civil rights movement spurned by Dr. Martin Luther King Jr., that DK would be the center of attention in the boxing ring when he stages yet another heavyweight championship fight in Las Vegas. In the most anticipated heavyweight fight in the United States in a decade, WBC Heavyweight World Champion Bermane “B. Ware” Stiverne (24-1-1, 21 KOs), a Haitian native fighting out of Las Vegas, will make his first defense against the confident, undefeated knockout specialist Deontay “The Bronze Bomber” Wilder (32-0, 32 KOs), of Tuscaloosa, Ala., in a televised tripleheader on Saturday, Jan. 17, live on Showtime (10 p.m. ET/7 p.m. PT) at the MGM Grand Garden Arena in Las Vegas. King is the promoter of Stiverne and is hailing the confrontation as a Fight for Peace, his legacy already cemented as the greatest promoter, he is now using his enormous platform to fight for life. The 83-year old whose estimated worth exceeds $150 million has taken his campaign to the war torn Middle East and beyond. There are few sports figures in the world that has been as passionate and informed about politics, civil rights, human injustice and the welfare of Blacks as King, but it is a battle that he fights for privately and not publically. “My magic lies in my people ties and I have always been a promoter for the people and by the people,” King said. His philanthropic contributions to various charitable organizations including military affairs and the NAACP exceeds tens of millions, but he frequently is the subject of lawsuits from fighters and ridicule of allege mob ties, the sinister portrait of him doesn’t hold water. With the exception of Sonny Liston, all the U.S.-born WBC Heavyweight Champions were promoted at one time by Don King, an astounding achievement that will never be duplicated. “The little guys are great, but as goes the heavyweight division so goes the sport of boxing. 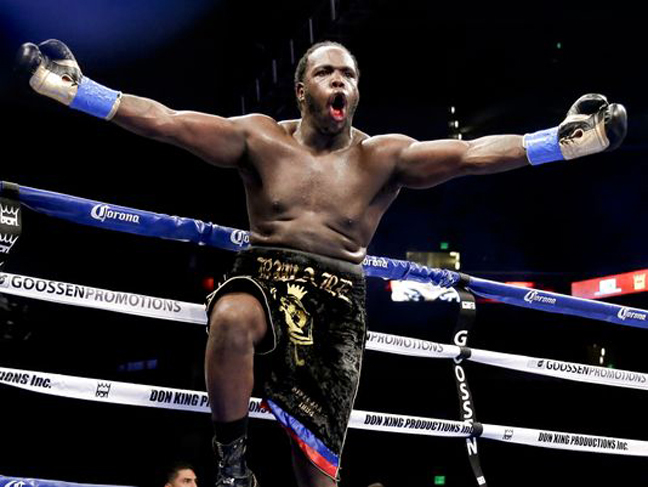 We have not had a heavyweight that would generate the level of excitement that can bring that back, until now in this fantastic fighter Bermane Stiverne,” he stated. Stiverne knocked out Chris Arreola on May 10, 2014, to become the first Haitian-born prizefighter and 22nd boxer overall to capture the WBC Heavyweight World Championship. Wilder, promoted by Golden Boy Promotions and represented by Al Haymon, would become the first undefeated American heavyweight to capture a world title since Riddick Bowe won the WBC, WBA and IBF titles in 1992. 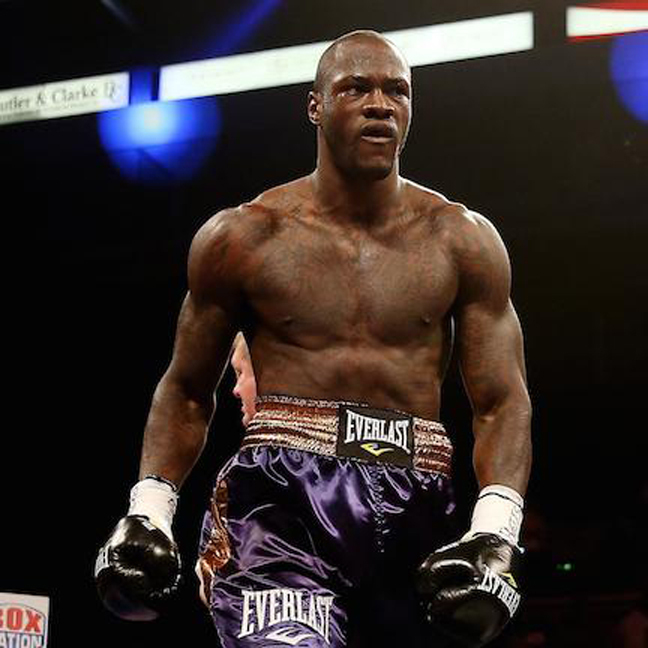 Wilder also would become the 13th U.S.-born boxer to win the WBC title and the first since August 2006. Hasim Rahman was the last American to hold the WBC belt. The last American to hold any version of the heavyweight title was Shannon Briggs, who captured the WBO title in November 2006 and lost in his first defense. The initial nine WBC heavyweight champions were from the United States, beginning with Sonny Liston, who in July 1963 became the first WBC champion. Following Liston were Muhammad Ali, Joe Frazier, George Foreman, Leon Spinks, Ken Norton, Larry Holmes, Tim Witherspoon and Pinklon Thomas. King promoted all of them.